Archbishop Edwin F. O’Brien, Archbishop of Baltimore, will preside over the opening session of the Cause for Sainthood of Father Patrick Peyton, CSC during the 12:10 Mass at the Baltimore Basilica on Thursday, November 20. Father Peyton is best known as the “Rosary Priest,” who encouraged families through his radio and television programs in the 1940s and 50s to pray together daily, especially the rosary. The investigation into the Cause for Sainthood of Father Peyton, which opened in June of 2001, was moved from the Diocese of Fall River, MA to Baltimore by the Holy See. Members of the ecclesiastical tribunal, which will investigate the life and ministry of Father Peyton, will be sworn-in during the Mass on Thursday and will receive instruction from the Archbishop as to how the inquiry is to take place. The Catholic Church’s process leading to canonization involves three major steps. First is the declaration of a person’s heroic virtues, after which the church gives him or her the title Venerable. Second is beatification, after which he or she is called Blessed. The third step is canonization, or declaration of sainthood. 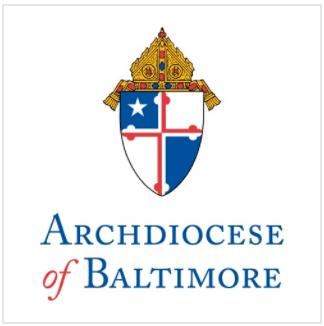 The Archdiocese of Baltimore has previously been involved in the Causes of Canonization of the Servants of God, Sr. Faustina Kowalska, Mother Mary Elizabeth Lange, and Father Francis Xavier Selos. Father Patrick Peyton emigrated from Ireland to the United States in 1928 when he was 19. He was ordained to the priesthood in 1941 and founded Family Rosary in Albany, New York the following year. He conducted rosary crusades in 40 countries, drawing 28 million people. In 1947, he created Family Theater Productions, producing some 600 radio and television programs featuring hundreds of actors and celebrities, and more than 10,000 broadcasts. Family Theater Productions is now part of Holy Cross Family Ministries, which carries on the work of Father Petyon and is headquartered in North Easton, MA. For more information about the life and work of Father Peyton, visit www.hcfm.org.